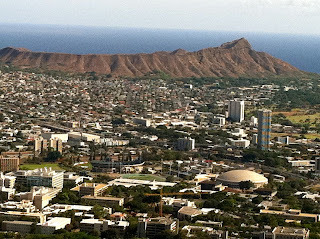 Some photos from around Oahu. Burritos. They're talkin' 'bout burritos. You've been warned in English and Japanese! Shoppers are staying away from Ala Moana Shopping Center. Restaurants near the APEC Conference are closing their doors for the rest of the week. Small businesses have laid off employees for 4-7 days.Shopkeepers at Ala Moana Shopping Center are telling their employees to take a break and buy a cup of coffee to support other retailers. 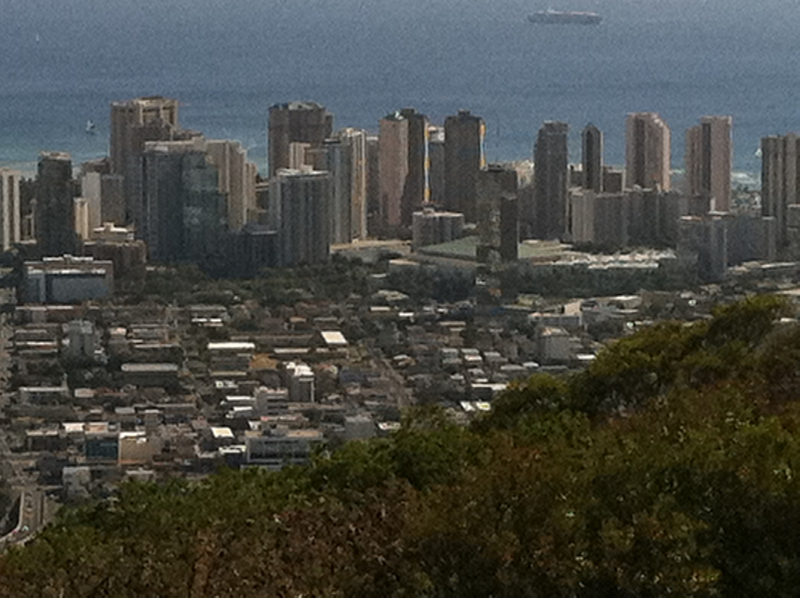 APEC is hurting commerce in the Honolulu area surrounding the conference locations. So, Mark and I decided to have dinner tonight somewhere in town, near the conference, but not in the secured zone. We want to help the local businesses. Anyone have ideas of where we should eat? Update: The Chart House restaurant in Honolulu had an “APEC Stimulus Package” last night. We ate there when we saw the special – 40% off food! When have you ever heard of 40% off a dinner? I don’t think I ever have. My mahimahi fish dinner was $18. They took $36 off our final bill. That’s a deal! We visited Punchbowl National Cemetery on Sunday. 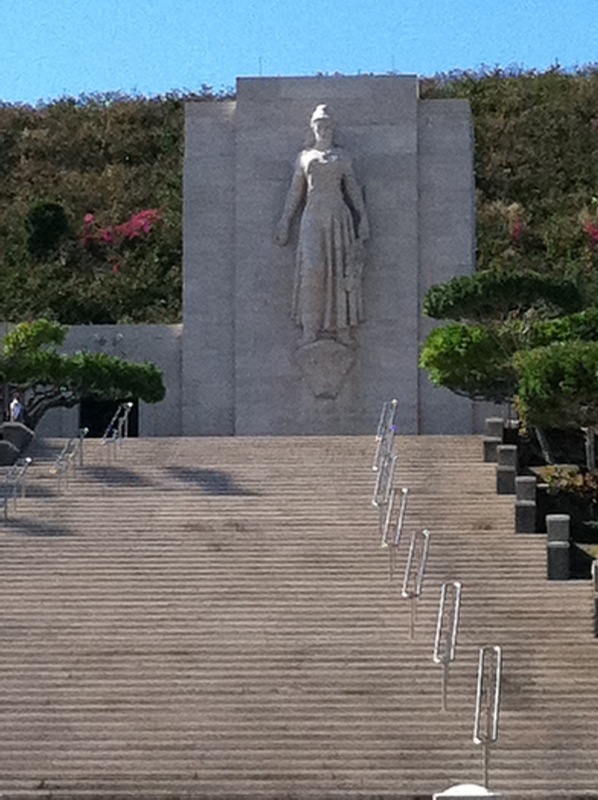 You’ll recognize the statue of Lady Columbia from Hawaii Five-0’s opening sequence. (Both the original and the new show.) She symbolizes all the grieving mothers. 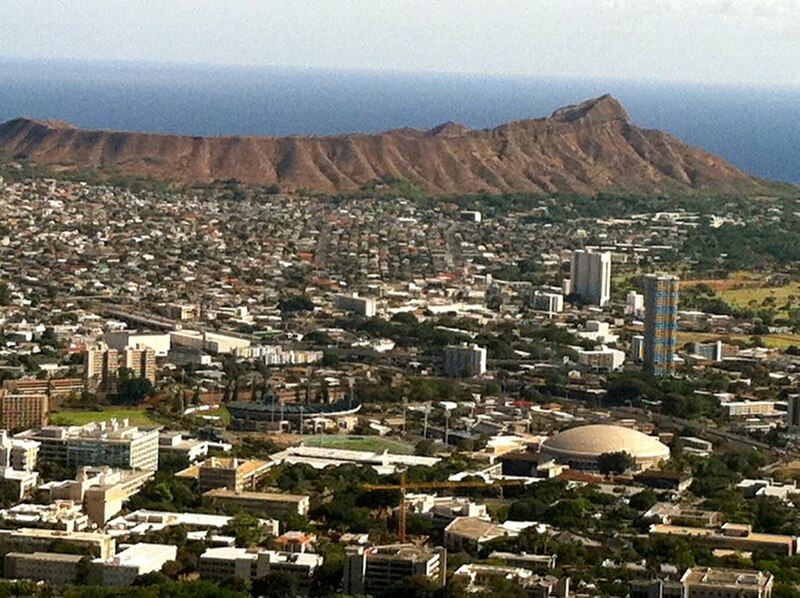 Punchbowl is located in a dormant volcano crater. It’s green and peaceful, even with the tourist bus driving around. The casualties from the attack on Pearl Harbor were the first people to be buried there, at least in modern times. 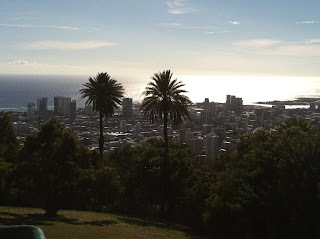 I’ve been told it was a sacred place for Hawaiians in the past. I’m guessing they used it as a burial ground also. If anyone knows the story, please let me know. It looks as if they are refurbishing/landscaping there. Wait a few weeks, then visit. Tantalus Drive is at the entrance to Punchbowl, so we took it to where it joins up with Round Top Road. 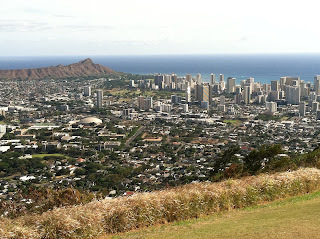 Our goal was to reach the lookout point in the park. I felt a little woozy driving up in altitude along the curvy lane. 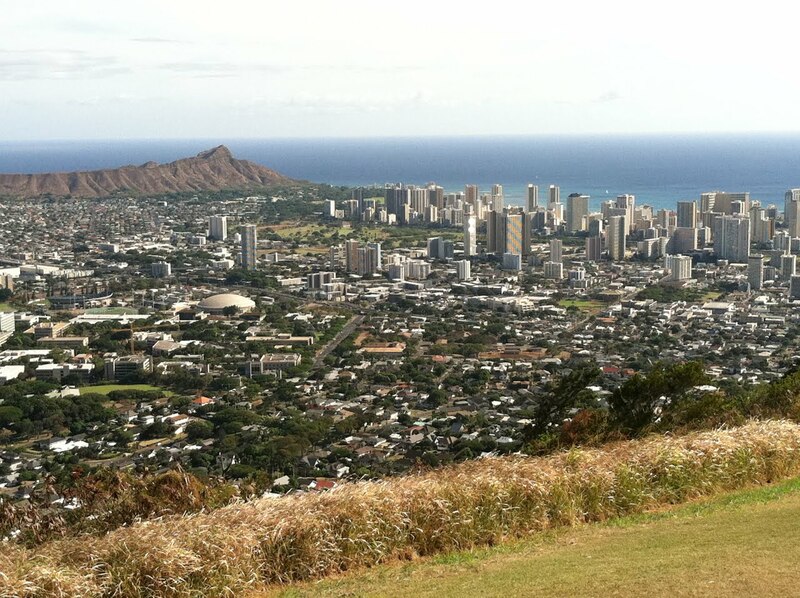 The lookout point is spectacular and worth the drive. 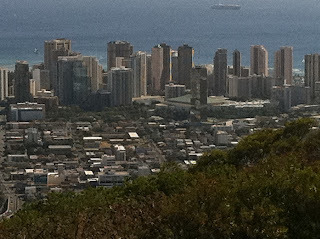 Here are photos which show Diamond Head, University of Hawaii Manoa, Magic Island at Ala Moana and downtown office buildings. The North Shore was our next stop, where we again saw a tourist bus. 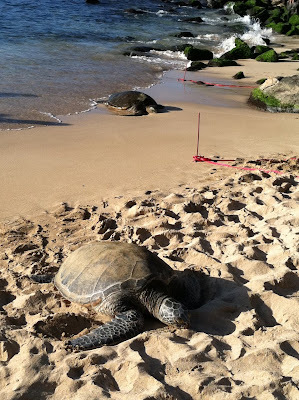 We visited our Honu (Sea Turtle) friends and learned they eat the seaweed found on this particular North Shore beach. After the Honu eat, they rest upon the sand and let the sun and water restore them. Of course, we had to eat at some point as well. Off to Kua Aina Sandwich Shop in Haleiwa for dinner. Yum! Go there. You won’t be disappointed.